When facing the challenges of parenting a child with autism, it is important to know the resources that are available to you. Not only are there many local services available for parents, but there are also several national conferences that seek to teach parents to navigate the challenges of raising a child with autism. Check out these five conferences to learn more about how they can help you help your child with autism. Profectum is an “organization committed to gathering the most cutting-edge practices in autism,” helping to teach families how best to use them with each unique child, and building a community of families affected by autism. They hold various conferences throughout the year all over the country. Check out their website to see when a conference may be happening near you. Autism Speaks is a national foundation dedicated to raising money and awareness for the treatment and prevention of autism. It also seeks to bring together friends, families, and concerned community members to build a supportive network. While Love & Autism is an organization dedicated to autism awareness and community like the others, its main focus is the annual conference. One unique aspect of Love & Autism is many of the events that take place, including musical and art presentations, are performed by individuals with autism. The Autism Project is an organization dedicated to connecting researches and practitioners with families affected by autism. 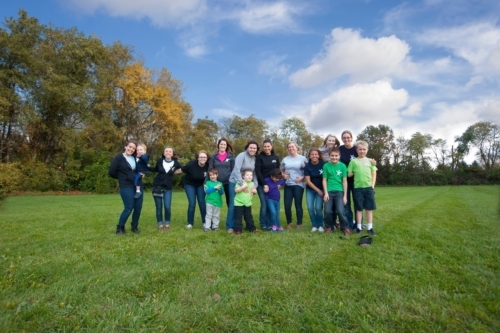 They seek to help the entire family unit by teaching the latest practices regarding autism and by providing a supportive and collaborative community. Have a child in need of ABA or speech therapy? Contact LAC today! When it comes to caring for your child with autism, we understand that it truly “takes a village” to provide the best care for your child. At Lighthouse Autism Center, we take great pride in our staff. They are truly the backbone of our centers. All staff members are highly educated and trained. Each staff member has at least a Bachelor’s degree and all BCBA’s have a Master’s degree. All staff members are first aid, CPR and Crisis Prevention Intervention (CPI) certified. So who are the Lighthouse employees and what do they do? 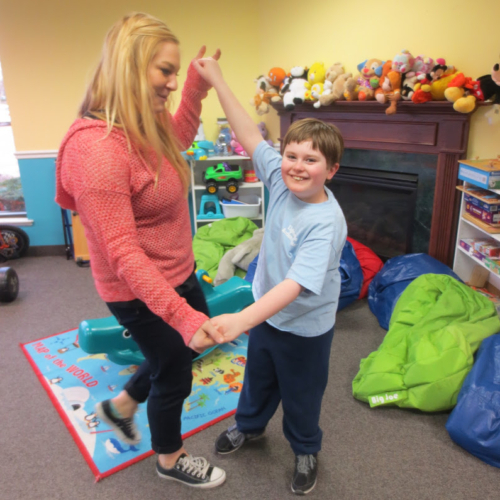 Therapists make up the largest number of employees at Lighthouse Autism Center. Therapists are those employees working directly with your child each week. While program managers create therapy programs for your child, the therapists are the one’s implementing these programs. Therapists are also responsible for recording data and providing feedback to program managers and clinical directors regarding the programs implemented for your child. All therapists have at least a bachelor’s degree and go through constant ongoing training to ensure the highest quality therapy for your child. At Lighthouse, we have a wonderful group of therapists who are all very passionate about working with those diagnosed with autism spectrum disorders, some who have been doing so as long as eight years! The program managers oversee the therapists who work with your child. Program managers conduct skill assessments when your child initially enrolls with the center, creates goals for and therapy plans for your child as well as writes insurance reports for your child and trains therapists in how to implement programs with your child. Furthermore, they then analyze data on the children’s behaviors, revise goals and therapy programs accordingly, monitor therapists working with your child, and work directly with parents to provide updates regarding their child’s progress. A clinical director is the most senior clinical staff member. The clinical director oversees the entire clinical team and program manager’s report directly to the clinical director. The clinical director’s responsibilities include developing quality ongoing training for program managers and therapists, child intake, and community outreach. The director spends a majority of their time observing children, and monitoring their programs and behavior intervention programs (BIPs) to ensure they are appropriate and implemented properly. With a passionate and highly qualified clinical team, you can’t go wrong with LAC! Looking to give your child with autism the dedicated care they deserve? Contact Lighthouse Autism Center today! Studies have long suggested that early intervention leads to the best outcomes for children with autism. If your child is not reaching developmental milestones, or is exhibiting possible signs of autism, a parent should immediately have their child tested. For your convenience, Lighthouse Autism Center has a list of these signs on their website. A child’s brain develops rapidly between birth and three years of age. As a result, the earlier the intervention for your child with autism, the more effective ABA therapy can be. If your suspect your child may have autism, schedule an appointment with your provider to have your child tested. 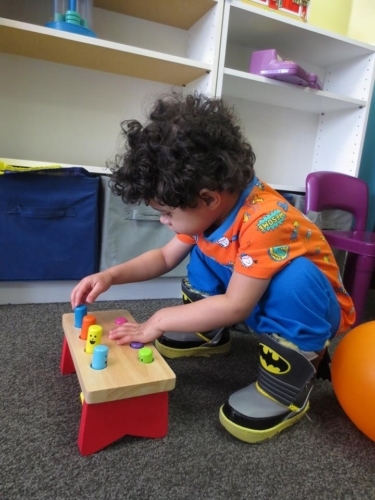 If your child does have autism, you can contact Lighthouse Autism Center and enroll your child at one of our centers. The earlier your child develops a treatment plan with one of our Board Certified Behavior Analysts, the better we can help your child reach his or her fullest potential. Do you suspect your child may have autism? Contact Lighthouse for assistance today! 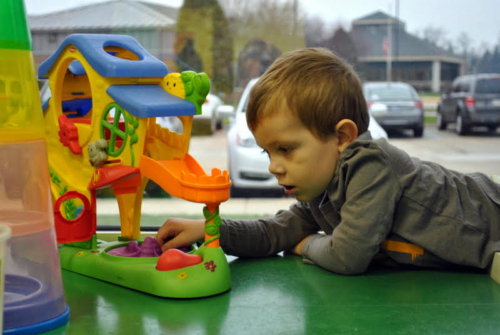 One of the most important criteria for choosing an autism therapy center is safety. When working with children who have autism, safety is of the most paramount importance. At Lighthouse Autism Center, we are committed to providing the utmost security for your child, ensuring a safe and educational environment. Doors – Every singly door in each center is locked. This means that if a child tries to “elope” or run, they cannot exit the building. Each door has a button above the door that must be pressed in order to exit the building. In the six years the centers have been open, a child has never escaped. Furthermore, the doors are also locked from the outside meaning that the only way an individual (besides staff members and parents who have key fobs) to enter the center is for someone inside the building to let them inside. Staff- All staff members are put through multiple interviews, reference checks, and background checks before being offered a position with the center. Training- Each staff member is provided with two weeks of training prior to commencing therapy with a child. Not only that, the center provides certification training for each therapist in both CPR as well as Crisis Prevention Intervention (CPI). Emergency Protocols– Each center has emergency protocols for severe weather, fires, and lock downs. Several times throughout the year emergency drills are issued in order to ensure staff members and children know how to react in an emergency situation. Looking to give your child with autism the dedicated care and safety they deserve? Contact Lighthouse today! Copyright © 2016 Lighthouse Autism Center / All rights reserved.